We were staying at a beautiful B & B in Dorset with walking trails through fields where sheep were grazing. We drove, at one point, to a hilltop with uninterrupted views (it had been discovered in Roman times; there was a historical marker). 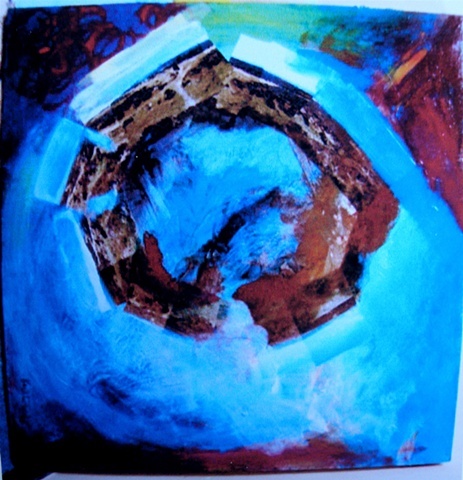 I took photos in a circle and later made a collage of them in this painting-in-the-round.